The CE800 was specifically engineered for the commerical environment, from it's heavy duty steel frame to its durable powder coat paint finish. The design focuses on convenience, comfort, reliability, and aesthetic appeal. 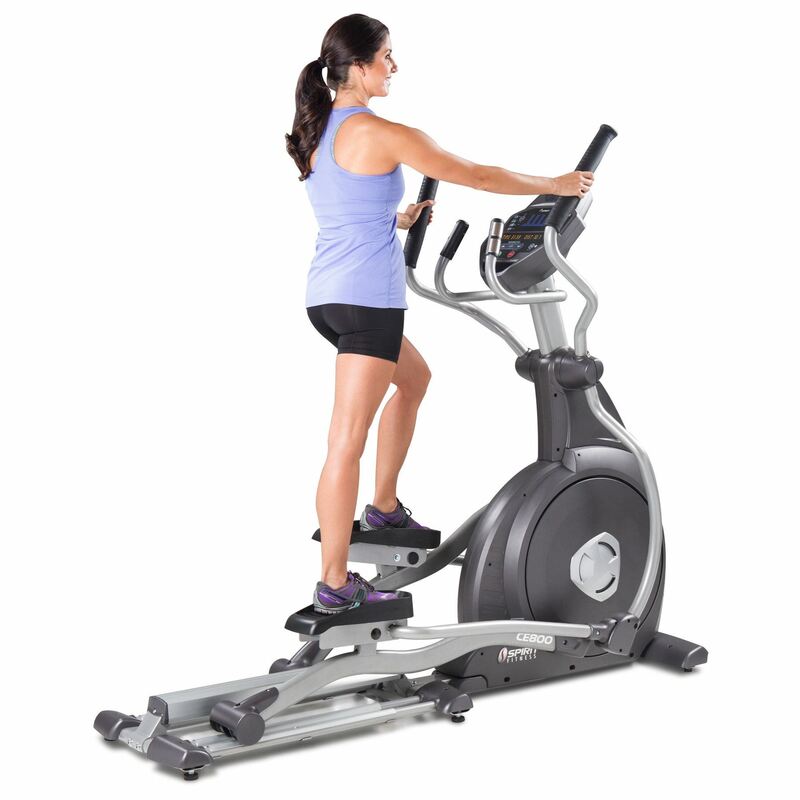 This model is very appealing to users that value a smooth stride and a weight bearing workout, without the impact. 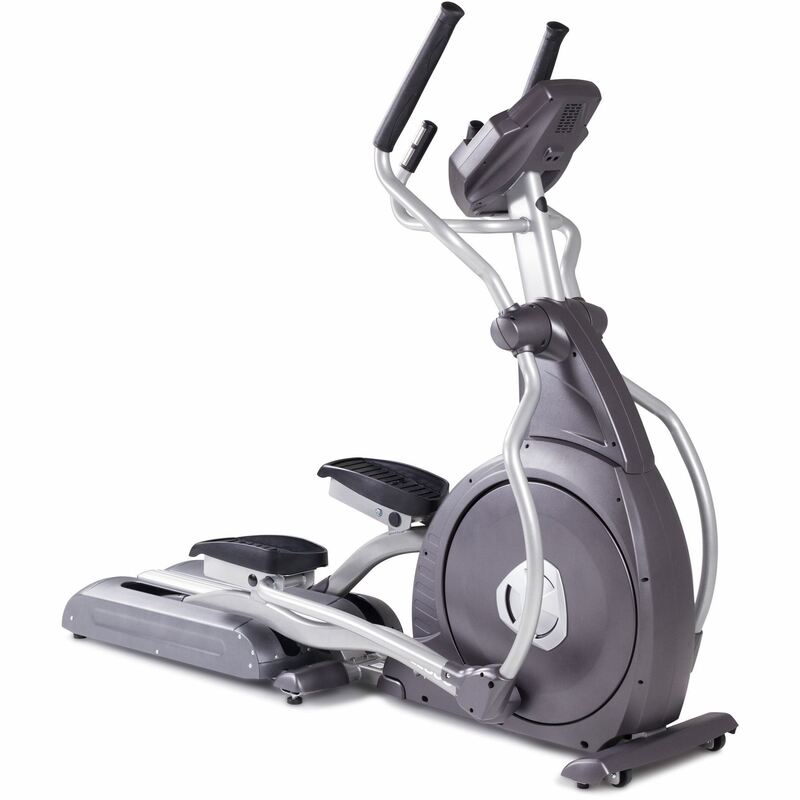 With a 51 cm stride length, 40 levels of resistance, a 14 kg flywheel, and an extensive amount of console feedback, this model is very appealing to someone that values a smooth ride and multitudes of adjustable options. Its heavy duty steel frame, zinc undercoating, plus an additional powder coat paint finish add durability in commercial settings. In addition, the CE800 is equipped with self-generating power, so you can place it anywhere in your facility for your clients to enjoy year after year. 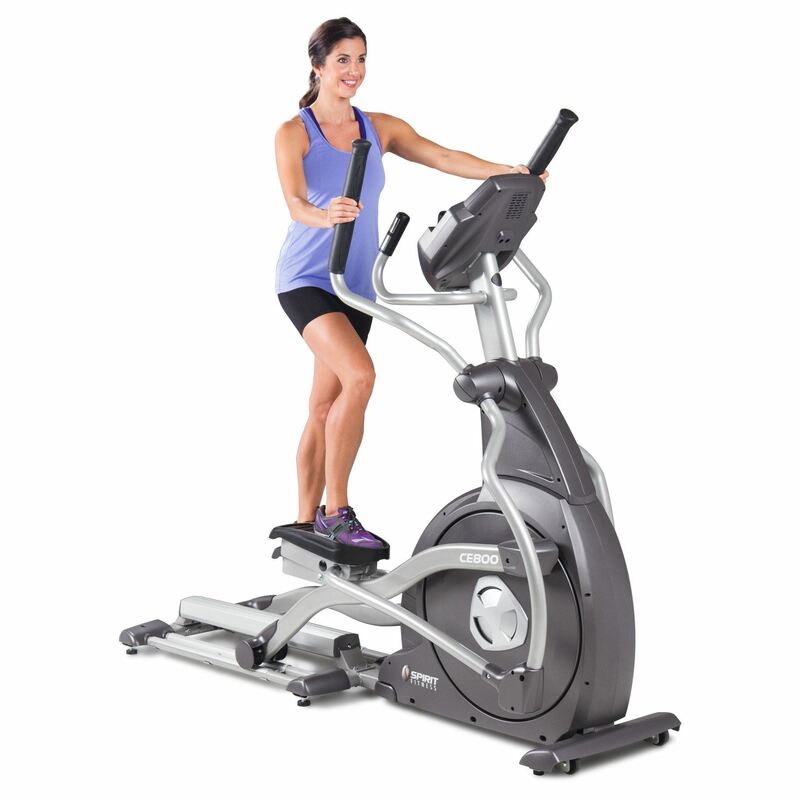 Certain brands arbitrarily emphasize the flywheel weight of an elliptical. But Spirit’s formula for the smoothest kinetic energy take pulley diameters, belt length, belt tension, foot pedal, and stride length into account - none of which is compromised. The 13.5 kg flywheel serves as a power generator, so no electrical cords are needed for the console to operate.